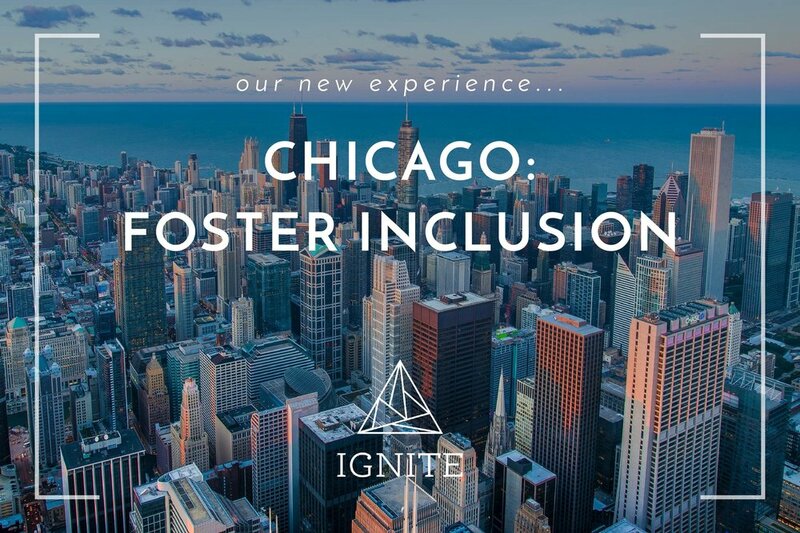 Chicago: Foster Inclusion is a one-day leadership immersion to deepen cultural competence. The same elements of our multi-day and international journeys (cultural immersion, community engagement and leadership development) are woven into one powerful and productive day. The highlights include two training sessions focused on active listening and cultural awareness for diversity, equity and inclusion, a unique community engagement with Upwardly Global helping skilled immigrants and refugees prepare to enter the workforce, and lastly, an immersive ethnic cultural celebration with storytelling, music and some of the best food this city has to offer. Why bring it local? For those who are familiar with Ignite or my background, you know I’ve been creating and leading these journeys internationally for more than a decade, and on some level, every journey I’ve facilitated has sought to elevate purpose, promote inclusion and cultivate leaders - now the core tenets of Ignite’s work. While four days in Mexico or nine in Africa have increased potential to lean into those tenets, the opportunities to create experiences that do the same in this country (and even our own backyard), are endless. Purpose, inclusion and leadership are enhanced through our experiences because we take people out of their routine, connecting them with new communities and cultures, which become the context for robust experiential learning. This is only the first of Ignite’s local one day experiences. In the coming weeks, we’ll be rolling out additional Chicago immersions around communication, emotional intelligence and innovation… all with our signature integration of cultural immersion, community engagement and leadership development. My co-founder Ryan Jeffery and I want to thank you for your support on this journey - we are here because of you...and for you. Don’t hesitate to reach out to learn more as we hope to be working with many of you in the near future.